Mr. Cooper news about a recent downgrade for the company is hitting COOP stock hard on Wednesday. The downgrade news for Mr. Cooper (NASDAQ:COOP) stock comes from analysts at Piper Jaffray. This downgrade has the analysts dropping the stock from a “Neutral” rating to a new “Underweight” rating. The Mr. Cooper news about the downgrade to its stock has COOP stock dropping around 7% as of Wednesday afternoon. The company’s stock is only up 1% since the start of the year. It did see a steady increase during this period that had it up 27% in early February. However, a steady decline followed that dropped down to a closing price of $12.27 on Tuesday. Mr. Cooper is a company that provides home loans. This includes loans for those looking to purchase a home, as well as those looking to take out a mortgage or refinance an existing loan. The company was previously known as Nationstar Mortgage and its headquarters is located in Dallas, Texas. Mr. Cooper last reported earnings on March 7, 2019. The company reported losses per share of $1.50 on revenue of $252 million during this period. Net loss reported by the company during the quarter was $136 million. 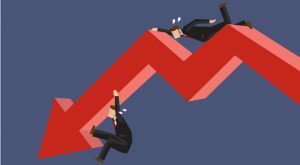 Article printed from InvestorPlace Media, https://investorplace.com/2019/03/mr-cooper-news-downgrade-hits-coop-stock/.